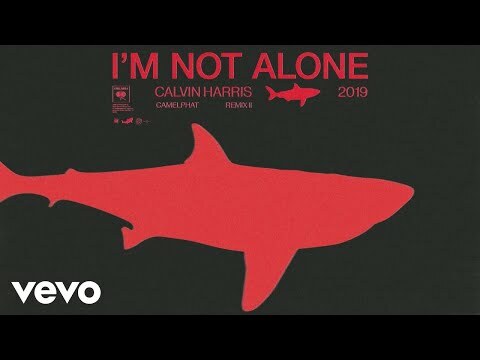 Calvin Harris Releases 10 Year Anniversary Remix Pack of 'I'm Not Alone' EDMTunesIt seems like just yesterday Calvin Harris released his hit single featuring his vocals, 'I'm Not Alone'. It's hard to imagine it's been 10 years now since its release. Calvin Harris Remixes & Remasters “I’m Not Alone” 10 Years Later [LISTEN] Your EDMTen years later, Calvin Harris is radiating the nostalgia heard with his classic track "I'm Not Alone." Amplifying it, in fact. The producer has unleashed. Glasgow taxi driver’s bizarre claims about driving Calvin Harris around for £10k and helping with drug deals Daily RecordA bewildered passenger has gone viral on Twitter after sharing audio footage of the cabbie revealing his wild escapades. Glasgow cabbie makes bizarre claims about driving Calvin Harris for £10k and helping a Chinese man make a The Scottish SunIn the bizarre footage, the cabbie tells the lad in his back seat how he drives superstar DJ Calvin around the city when he returns home. 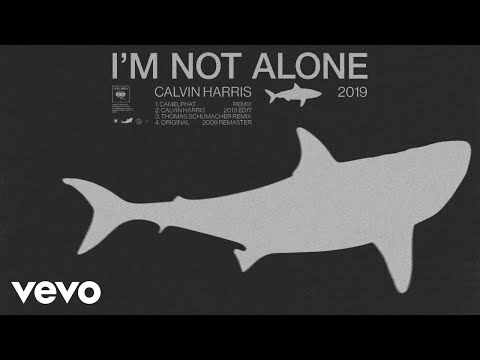 Calvin Harris announces 'I'm Not Alone' 10th anniversary remix Big Top 40Calvin Harris is celebrating 10 years of his anthem 'I'm Not Alone' with a brand-new remix. Hï Ibiza Announces Brand New Calvin Harris Residency for 2019 Rave JungleIbiza's iconic open-air venue has landed a massive new name for 2019 with the announcement Calvin Harris will appear as a resident artist this season. Football look-alikes: Ramos compared to Calvin Harris, Sami Khedira and Val Kilmer by fans ESPNOne footballer shared some of his look-alikes, which fans sent him on social media, joining a distinguished list of stars with famous doppelgangers. Football look-a-likes: Ramos compared to Calvin Harris, Sami Khedira and Val Kilmer by fans ESPNOne footballer shared some of his look-a-likes that fans sent him on social media, joining a distinguished list of stars with famous doppelgangers. Calvin Harris & Rag’n’Bone Man’s “Giant” Reaches #1 On Billboard Dance Club Songs Chart HeadlinePlanet.comCalvin Harris & Rag'n'Bone Man's "Giant" is officially the biggest song at US night clubs. The track rises one place to #1 on this week's Billboard Dance. Calvin Harris Is Selling His LA Recording Studio Home For $5.75 Million EDMTunesEver fancied living in the same house where Calvin Haris lived? Well, you're in luck. Because Calvin Harris is reportedly selling his luxurious..
Calvin Harris is selling his $5.75 million home and recording studio DJ MagThe home was previously owed by Swedish House Mafia's Steve Angelo. Calvin Harris' Net Worth in 2019 Wealthy GorillaCalvin Harris is a Scottish DJ, record producer, singer, and songwriter. As of 2019, Calvin Harris' net worth is estimated to be $220 million dollars. Ushuaia Ibiza Announces Calvin Harris Residency In Summer 2019 EDM SauceAfter his return to Ibiza in Summer 2018 at Pacha, news has surfaced that puts Calvin Harris back on the White Isle in 2019. Ibiza's iconic open-air venue. Calvin Harris Will Heat Up Ibiza With Summer 2019 Ushuaïa Residency BillboardCalvin Harris returns to the White Island this summer, with a newly-announced residency at Ushuaïa Ibiza. Ushuaïa Ibiza announces brand-new Calvin Harris residency for... One EDMIbiza's iconic open-air venue has landed a massive new name for 2019 with the announcement Calvin Harris will appear as a resident artist this season. Calvin Harris' House In Los Angeles Is For Sale Architectural DigestCalvin Harris just put his Los Angeles house up for sale for over $5 million. Calvin Harris & Rag'n'Bone Man Drop 'Giant' Remixes: Breaking Down the 6-Song Package BillboardHere's a list of remixes of Calvin Harris and Rag'n'Bone Man's "Giant" for your listening pleasure.